Renton, WA – The Washington Multi-Family Housing Association (WMFHA) raised $32,509.00 for Childhaven at WMFHA’s Holiday Giving Gala charity event. Over 130 people from the multifamily housing industry attended the Holiday Giving Gala at Maggiano’s Little Italy in Bellevue, Washington. Guests were greeted with songs from the Silver Bell Carolers, including a rousing rendition of the U.S. Marine Corp Hymn as two Marines entered the room to collect 6 large boxes overflowing with donated unwrapped toys for Toys for Tots. Over 45 participating members and member companies contributed prizes to the 2nd annual Silent Auction. Silent Auction gifts included Seattle Seahawks Tickets, Sounders Tickets, spa packages, a large TV, Tiffany necklace and resort get-aways, among other great prizes. A Golden Ticket allowed one winner to choose any auction item from the selection. “We were very pleased to be able to raise such an unexpected amount of money for such a good cause as Childhaven” said Jim Wiard, WMFHA Executive Director. Childhaven’s therapeutic approach to care succeeds in actually repairing an abused or neglected child’s brain. Consistency, structured routine, attentive listening, the opportunity to make their own choices, and clear limits and boundaries – both in the classroom and, through Childhaven’s work with parents, also at home – work to calm and heal children, and help them build trusting relationships with adults. This was the 3rd year WMFHA has coordinated a toy drive for the U. S. Marine Corps Reserve Toys for Tots Program. The objectives of Toys for Tots are to help less fortunate children throughout the United States experience the joy of Christmas; to play an active role in the development of one of our nation’s most valuable resources – our children; to unite all members of local communities in a common cause for three months each year during the annual toy collection and distribution campaign; and to contribute to better communities in the future. 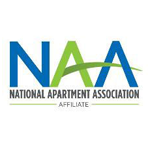 The Washington Multi-Family Housing Association is the Washington State chapter of the National Apartment Association. WMFHA is a collection of over 100 Property Management companies, over 1,000 Apartment Communities, representing over 175,000 apartment homes, and over 200 service suppliers working together to promote and enrich the multi-family housing industry in Washington state. For more information please visit www.wmfha.org. Since 1909, Childhaven has been a safe and caring place for babies, toddlers and preschoolers. Today, their trailblazing childhood trauma treatment program heals the youngest victims of abuse and neglect and prepares them for success in school and in life. By improving parenting skills and strengthening relationships, their mission is to break the cycle of abuse and neglect and lay the foundation for generations of safe and nurturing families.